Rod Smith (Galuyagmi “Great First Birth”) was born in Vancouver, British Columbia in 1966 and now resides in Qualicum Beach, BC. 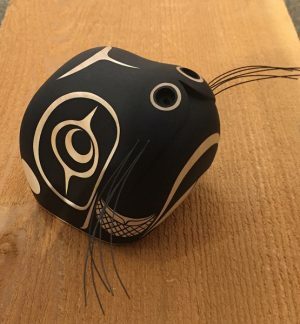 Rod is an artist who discovered his love of art and learned his craft under the the watchful eye of his father, the late Kwakwaka’wakw artist Harris Smith (Lalkawilas). Rod often works in basswood, red and yellow cedar, arbutus, and maple. He is perhaps best known for his precise and elegant painting style. His pieces include sculptures, masks, poles, original paintings, plates, vessels, bowls, and bentwood boxes. 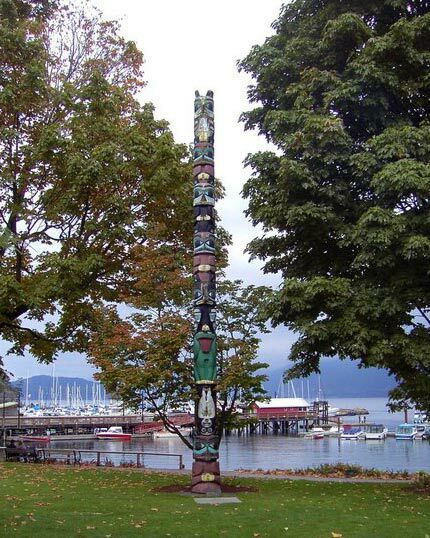 In 2002, Rod completed an 8-foot pole in collaboration with his father and his brother, Kwakwaka’wakw artist Steve Smith. In 2005, Rod was featured in the Changing Hands: Art Without Reservation 2 exhibition that opened at the Museum of Arts and Design in New York, NY.